Homeowners who find themselves in need of new living space often decide that a garage conversion is one of their simplest and most economical alternatives. 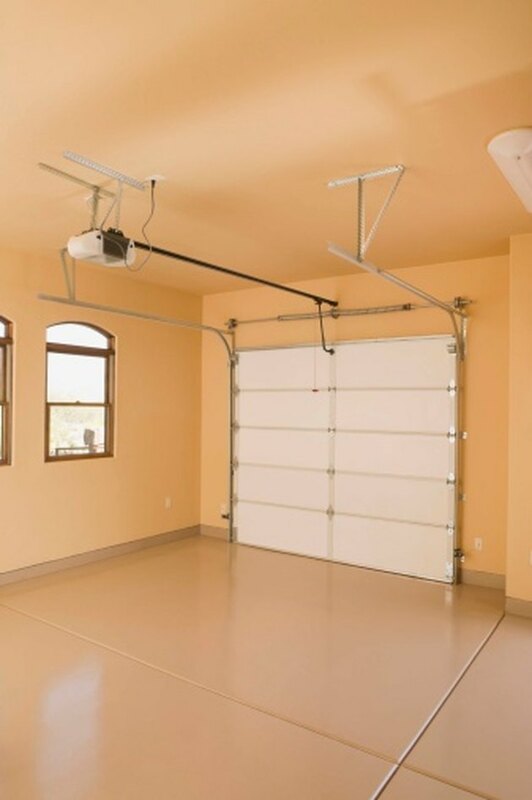 An attached garage is a ready-made enclosed space with the framing, roof and siding already in place. Conversion can reduce both the cost and duration of construction. The first step in a converting a garage to a living space is removing the door or doors and walling off the openings that remain. The first step in converting a garage is to remove the door and build a wall. Disconnect the spring or springs from the door. You must release a torsion spring mounted above the door with winding rods. You can disassemble a door with side extension springs using ordinary tools. Dismantle the door by removing the hardware on the sides and the hinges between sections. Remove the door hardware, such as tracks, mounts and opener. Pry loose and remove all the molding that surrounds the space. This exposes the header and the studs on the sides of the opening. Construct a new sole plate across the opening. Use treated lumber rated for ground contact and insert a strip of aluminum or copper termite shield between the wood and the slab. Attach the sole plate with masonry nails or with lag screws inserted into pre-drilled holes in the slab. Frame the opening with 2-by-4-inch lumber on standard 16- or 24-inch spacing. Rough frame any required window or door openings. Install windows and doors. Insulate all framed areas below, above and beside windows and doors. Apply sheathing to the exterior wall. Install siding on the exterior. If the home's exterior siding is horizontal, it may be simpler to install contrasting siding than attempt to match the existing pattern. Install exterior molding around windows or door openings. Complete the interior with drywall. Add molding to frame the windows and doors and install the baseboard.